Count Yorga. The name just oozes vampire. Blood dripping from razor-sharp fangs, black red-lined cape, Eastern European provenance. Count Yorga was a proper vampire, not one of the sparkly creatures that infest the modern genre. And not one of those vampires that are themselves victims, caught up in an un-life they never asked for and who are just trying to get along as best they can without killing too many people. No, the good Count was a scary vampire with no qualms about murder. After all, killing your food isn’t really murder, right? I am ready for adult vampire adventures. Are you? Indulge in a darkly decadent and sinfully sensual world. 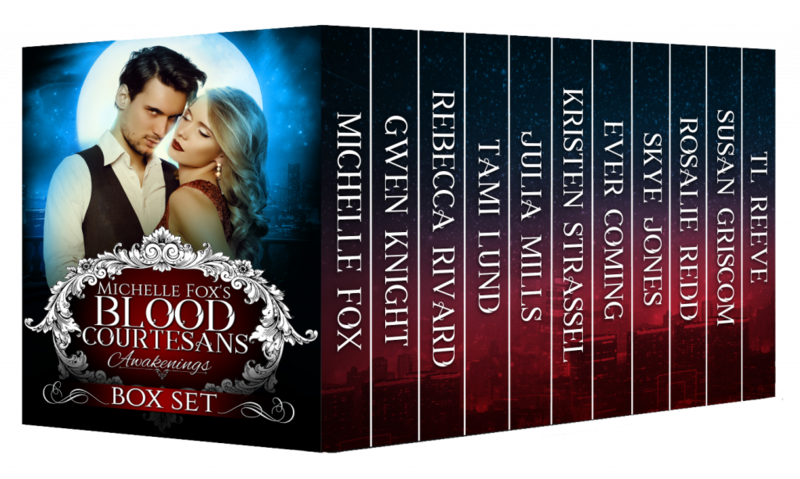 A world where vampires are real, rich and hungry, a world where Blood Courtesans satisfy all their needs. Come, let fangs slip into your throat and awaken you to a whole new life. A boxed set of ALL NEW stories in this popular series. Warning: This isn’t your momma’s vampire romance. It’s not Twilight or the Shade, either. It’s Blood Courtesans: Luxury, fast cars, adventure, whirlwind romance and cold, hard fangs. Got blood? Enter your email address to follow this blog and receive notifications of freebies, new book release and giveaways by email. Airplanes on fire, Dimash, Alpha Obsession Book Club & New Releases. Oh my!